A cataract is a cluster of protein cells that develop on the natural lens of the eye, and can significantly affect vision. Cataracts are a common age-related concern, with more than 70 percent of adults suffering from cataracts by the age of 75. If you are looking to learn more about cataracts, Dr. Thomas J. Byrd can answer cataract FAQs. He also provides effective cataract surgery at his Downriver Detroit, MI, office to restore your vision. Contact Byrd Eye Clinic to learn more or to schedule a consultation. Cataract surgery is not considered an emergency treatment because a cataract will not damage the overall structure of your eye. The procedure can be delayed until you feel that your quality of life has diminished. If you need sharp sight for work or your hobbies, you may want to undergo surgery sooner than other patients. You may also be ready for cataract surgery if you suffer from glares or halos, or have trouble with nighttime driving. What Places Me at a Higher Risk for Complications? The surgery itself will not hurt because we will administer anesthetic and numbing medications. After your procedure, you may experience a scratchy or irritated sensation in your eye. However, most patients require nothing more than mild over-the-counter pain medication, and discomfort typically fades after a day or two. Dr. Byrd performs all cataract surgeries on Tuesdays with follow-up appointments the day after on Wednesdays. We can discuss your specific activities and recovery timeline at your post-operative visit. In general, you can resume driving a few days after your surgery, or as soon as you feel comfortable. You can typically return to non-strenuous activities and moderate exercise the day after surgery. You should avoid heavy lifting, intense aerobic exercise, or activities that require you to hold your breath for about a week following treatment. When Can I Shower and Swim? You can shower and take a bath the day of your cataract surgery. Because you will receive steroid eye drops after your procedure, you should avoid swimming pools, hot tubs, lakes, and streams for about two weeks. I Have Cataracts in Both Eyes. When Will You Perform My Second Surgery? Dr. Byrd will tentatively schedule your second surgery two weeks after your first procedure. However, you will first have a one-week follow-up appointment. At this visit, Dr. Byrd will evaluate your recovery. If he determines that your first eye needs more time to heal, he may delay your second procedure. What Should I Look out for after My Surgery? The day after surgery, you may experience some mild side effects. Common adverse effects include redness, discharge, swelling, light sensitivity, or blurred vision, but these should begin to improve after the first 24 hours. If you notice any new symptoms after this time, or if side effects start to worsen, you should contact our office. What Types of Eye Drops Will I Need to Use? Eye drop protocol after surgery varies from patient to patient. However, you will typically receive three types of drops: antibiotic, steroid anti-inflammatory, and non-steroid anti-inflammatory. Dr. Byrd will also provide detailed instructions on when to start and stop using each one. Usually, you will administer drops twice a day for the first week, and once a day for the rest of the month. You should not wear any makeup on or around your eyes for 10 days after your surgery. However, you can continue to wear makeup on the rest of your face immediately following treatment. Will I Need to Wear Any Protective Eye Gear after My Surgery? Dr. Byrd will provide a rigid plastic eye shield to wear continuously for three days after your procedure. You should also continue to sleep with the shield for a week after treatment. What Are Some Post-operative Complications? Long-term complications following cataract surgery are rare. Nevertheless, your vision may be a bit blurred, and you may have an irritated sensation in your eye. Your vision should improve in a day or two, and full cataract surgery recovery should take about one to two weeks. If your symptoms worsen after the first 24 hours, you should contact our office. 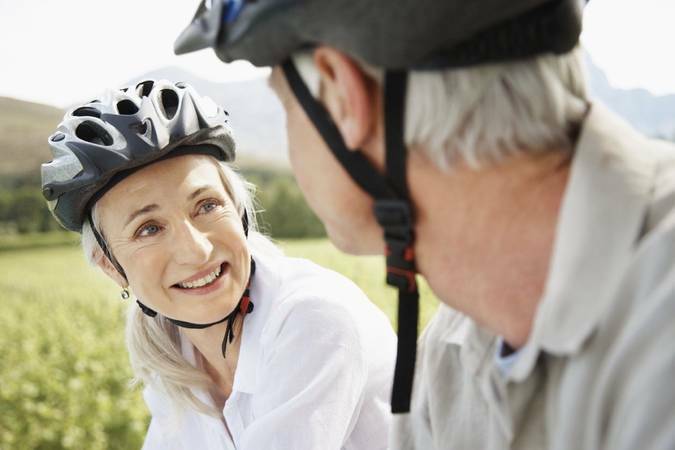 Do you have more questions about cataracts and what you can expect from surgery? Contact our office today to schedule an appointment with Dr. Byrd.